Games have previously been denigrated as socially isolating, with the stereotypical, petulant and portly adult playing a viscerally violent game in his parents’ basement: the quintessential ‘gamer’ image that has existed for many years in popular culture. With grandparents now playing Wii Tennis and my cousins in Australia and Canada playing Xbox Live with each other, games are fulfilling [a much more social role] than they were a decade ago. The study included a Web survey amongst 290 smartphone owners between the ages of 15-54 who self-identified as at least “casual gamers,” with nearly half labeling themselves “game enthusiasts.”* The survey assessed technology usage and future orientation, attitudes and behaviors around gaming, and possible interest areas for new game experiences. Who are the New Gamers? The infographic below offers a snapshot of the emerging gamer: he or she is not bound by platform or location, and has many different motivations for gaming in addition to just having fun. To view a larger version, click here. Infographic created by Latitude in collaboration with ffunction, (cc) some rights reserved. 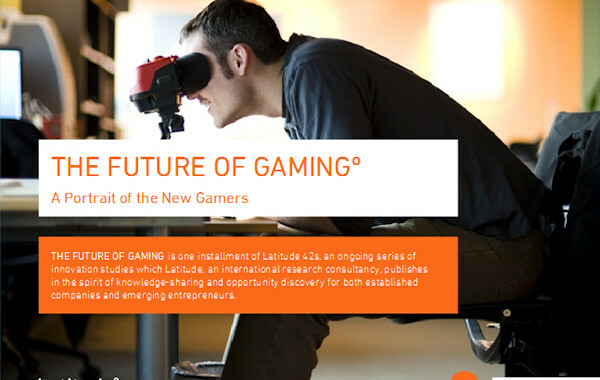 Latitude also conducted a series of in-depth interviews with game makers and gaming enthusiasts, culminating in the production of a video documentary: The Future of Gaming: A Portrait of the New Gamers, featuring Buster Benson, CEO of Health Month (currently, Co-founder/CTO at Habit Labs). The Future of Gaming: a Portrait of the New Gamers [8:52 minutes] from latddotcom on Vimeo. Video created by Latitude in collaboration with In The Car Media, (cc) some rights reserved. * 95% would like to see more games that do a better job of combining digital content with the real, physical world. * 90% agreed that current and future technologies will play a critical role in extending games beyond the traditional screen environment, moving them out into the real world. Not only did participants want games to be well-integrated with the offline world in a technological sense, they requested games that better fit into the context of their everyday life activities and which motivate them to do things they want or need to do anyways. Currently, a variety of “life games” exist, including ones that that motivate people to eat healthy and work out, learn science and complete household chores. The social aspect of gaming makes it particularly well-suited to tackling larger societal issues, as people can now connect easily around meaningful, shared experiences in real-time. Obstacles related to engagement, crowdsourcing, and logistics are removed as mobile platforms make it easier to become an engaged community member or to get involved with socially good causes in a way that feels game-like, either overtly or in a broader, “social adventure” sense. * 3 in 4 people would be more interested in getting to know their neighbors and the people in their communities if local meet-ups were designed to be more game-like (e.g., involving neighborhood “teams,” scavenger hunts, etc.). 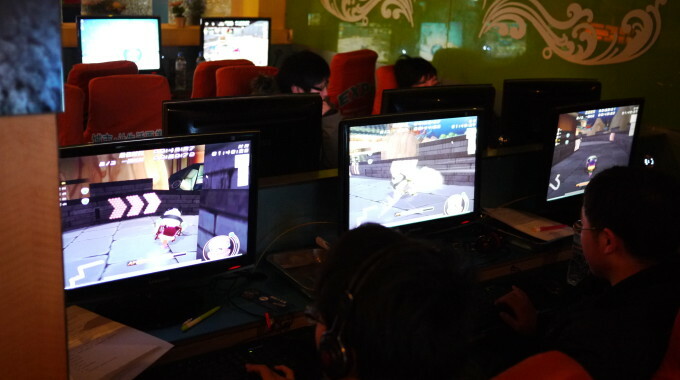 “You’ll be able to use gaming to create a social network that could influence our world for the greater good—and that’s something that already exists to some extent,” explained Michael Critz, an interviewee in Latitude’s The Future of Gaming video documentary. *Note: Smartphone ownership was a criterion for survey participation, but engagement with mobile games was not. See infographic above for gaming platforms preferred by participants.